Clinical/research expertise: I am a senior physiotherapist working in the Young Adult Complex Disability Clinic at St. Vincent’s Hospital. This is a transition clinic from paediatric to adult healthcare specialising in cerebral palsy. I am interested in the assessment and management of the postural asymmetries seen in those reliant on wheelchairs for mobility. My research is focused on establishing the validity and reliability of a measurement tool that has been used primarily for children in England, known as the Goldsmith Indices of Body Symmetry. Development of a model for educating physiotherapy students to be simulated patients. Clinical/research expertise: I am a physiotherapist currently working in private practice with a primarily musculoskeletal caseload. Prior to this I worked as a rotating Grade 1 physiotherapist at the Alice Springs Hospital. I commenced this research project as an Honours project during my undergraduate training. I have an interest in simulation in health professional education especially working with simulated patients (SPs). SPs are defined as individuals who have learned to portray the role of a patient, with a character and health issues other than their own, in a realistic way. Pritchard, S. A., Blackstock, F. C., Nestel, D., Keating, J. L. (2016). Simulated Patients in Physical Therapy Education: A Systematic Review and Meta-Analysis. Physical Therapy, 96(9), 1342-1353. Nestel, D., Gray, K., Simmons, M., Pritchard, S. A., Islam, R., Eng, W. Q. C., Ng, A., Dornan, T. (2014). Community perceptions of a rural medical school: a pilot qualitative study. Advances in Medical Education and Practice, 5, 407-413. Nestel, D., Watson, M. O., Bearman, M. L., Morrison, T., Pritchard, S. A., Andreatta, P. B. (2013). Strategic approaches to simulation-based education: A case study from Australia. Journal of Health Specialties, 1(1), 4-12. Nestel, D., Layat-Burn, C., Pritchard, S. A., Glastonbury, R., Tabak, D. (2011). The use of simulated patients in medical education: Guide Supplement 42.1 – Viewpoint. Medical Teacher, 33(12), 1027-1029. Nestel, D., Morrison, T., Pritchard, S. A.Chapter 2 – Scope of contemporary simulated patient methodology, in Simulated Patient Methodology: Theory, Evidence and Practice, eds Debra Nestel and Margaret Bearman, Wiley-Blackwell, UK. Blackstock, F., Pritchard, S. A.Chapter 20 – Skills development in person-centred physiotherapy, in Simulated Patient Methodology: Theory, Evidence and Practice, eds Debra Nestel and Margaret Bearman, Wiley-Blackwell, UK. Pritchard, S., Blackstock, F., Nestel, D., Keating, J., Simulated patients in physical therapy education: a systematic review and meta-analysis (poster presentation). Pritchard, S., Blackstock, F., Nestel, D., Keating, J. (2015). Simulated patients in physical therapy education: a systematic review and meta-analysis. Simulation in Healthcare, 10(6), 485. Pritchard, S., Blackstock, F., Bowman, K., Keating, J., Nestel, D. Expert perspectives on simulated patient methodology: A tri-continental interview study with simulated patient educators (poster presentation). Pritchard, S., Morrison, T., Keating, J., Nestel, D. Simulated patients’ perspectives on practice: a qualitative study (oral presentation). Pritchard, S., Blackstock, F., Bowman, K., Keating, J., Nestel, D. Expert perspectives on simulated patient methodology: A tri-continental qualitative study (oral presentation). Nestel, D., Morrison, T., Pritchard, S., Kiegaldie, D. The Victorian Simulated Patient Network: evaluation of a statewide resource (poster). Nestel, D., Morrison, T., Pritchard, S.The Victorian Simulated Patient Network: a statewide faculty development initiative in simulated patient methodology (poster). Pritchard, S., Blackstock, F., Bowman, K., Keating, J., Nestel, D. Simulated patient methodology across three continents: a qualitative interview-based study (oral presentation). Nestel, D., Morrison, T., Pritchard, S., Fundamentals of simulated patient methodology: training approaches for role portrayal (90 minute workshop). Clinical/research expertise: I am a senior physiotherapist working Community Rehabilitation in at the Monash Health Centre in Springvale. I assist in running the Chronic Heart Failure rehabilitation program there, and want to use my research to help improve the effective delivery of this service, with hopes that any positive outcomes can then be translated across Monash Health, Victoria and Australia. Palmer, K., Thomas, J., Mudge, S. (2014). Activity patterns in people with neurological conditions. New Zealand Journal of Physiotherapy 42(1): 9-15. Thomas, J., Palmer, K., Mudge, S. (2011). Activity patterns (Oral Presentation). 2011 New Zealand Rehabilitation Association Biennial Conference. The PhD thesis is a comparative, trial-based, incremental cost effectiveness analysis of gym versus home-based exercise intervention with telephone follow up for adults with chronic health conditions who had previously completed a short term, supervised group exercise program. Clinical/research expertise: I am an exercise physiologist for Monash Health Community in the Integrated Community Health Team. My research interest is in strategies to promote/maintain physical activity in older adults with chronic disease. Other interests include health economics. Jansons, P. S., Haines, T. P., & O'Brien, L. (2016). Interventions to achieve ongoing exercise adherence for adults with chronic health conditions who have completed a supervised exercise program: Systematic review and meta-analysis. Clinical rehabilitation. Transcranial pulsed current stimulation: a new paradigm for induction of cortical and behavioural changes. 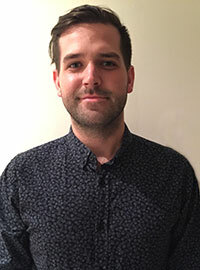 Clinical/research expertise: I am a PhD candidate working in Non-invasive Brain Stimulation and Neuroplasticity Laboratory at the Department of Physiotherapy, Monash University. My research focuses the effect of transcranial pulsed current stimulation (tPCS) on cortical and behavioral changes such as pain and motor function. I am particularly interested in investigating different tPCS approaches and mechanism behind their effects by combining neuroimaging techniques such as transcranial magnetic stimulation (TMS) and functional magnetic resonance imaging (fMRI). The effect of functional maintenance programs for acutely hospitalised older adults and factors that influence program implementation. Clinical/research expertise: I am an acute respiratory physiotherapist working in a tertiary hospital where majority of my patients are 65 years or older. My research interest is in acute hospital care for older adults, especially how multicomponent interventions can prevent geriatric syndromes such as functional decline. The effect of trauma release exercises (TRE) on the severity of restless legs syndrome (RLS), and a qualitative analysis of the lived experience of RLS. 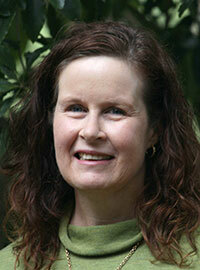 Clinical/research expertise: I am a grade one rotating physiotherapist working for Ramsay Health. As an honours student, I commenced a research project investigating the effects of trauma release exercises for restless legs syndrome. As part of the project, focus group data was also gathered regarding the lived experience of RLS. After graduating, I have converted to a part time Master’s degree to refine and complete this research. International skills migration – physiotherapists in Australia. Clinical/research expertise: I am a private practice physiotherapist working with a general musculoskeletal caseload. I also work as a research assistant for the Monash University Physio Department. I am interested the future of the health workforce, and am currently involved in research to do with workforce, education, and economics. Foo J, Rivers G, Ilic D, Evans D, Walsh K, Haines T, Paynter S, Morgan P, Lincke K, Lambrou H, Nethercote A, Maloney S (in press). The economic cost of failure in clinical education: a multi-perspective analysis. Medical Education (ref MED-2016- 0752.R2). Maloney S, Reeves S, Rivers G, Ilic D, Foo J, Walsh K (2017). The Prato Statement on cost and value in professional and interprofessional education. Journal of Interprofessional Care 31(1). Foo J, Storr M, Maloney S (2016). Registration factors that limit international mobility of people holding physiotherapy qualifications: A systematic review. Health Policy 120 (2016). Rivers G, Foo J, Ilic D, Nicklen P, Reeves S, Walsh K, Maloney S (2015). The Economic value of an investment in physiotherapy education: a net present value approach. Journal of Physiotherapy 61(3). Maloney S, Nicklen P, Rivers G, Foo J, Ooi YY, Reeves S, Walsh K, Ilic D (2015). A Cost-Effectiveness Analysis of Blended Versus Face-to- Face Delivery of Evidence-Based Medicine to Medical Students. Journal of Medical Internet Research 17(7):e182. Oral presentation (September 2016). Costs of the Underperforming Student. Monash Health Physiotherapy and Exercise Physiology Research and Innovation Conference. Melbourne, Australia. Foo J, Storr M, Maloney S (2016). The global profile of physiotherapy migration regulation - A website audit. World Health Professions Regulation Conference, May 2016. Geneva, Switzerland (Poster presentation). A Comparison of Remote-Online, and Face-to- Face, Case Based Learning. Clinical/research expertise: I am primarily working in private practice at Performance Medicine, mainly with dancers and music theatre performers. I also work with singers and professional voice users utilising vocal unloading, as well as, a sessional tutor in the third year of the undergraduate physiotherapy course. My research explores blended learning, particularly within case-based learning, as well as the cost and benefit of education from a student perspective. Maloney, S.R., Nicklen, P.D., Rivers, G.S., Foo, J., Ooi, C., Reeves, S., Walsh, K., & Ilic, D. (2015) A cost-effectiveness analysis of blended versus face-to- face delivery of evidence-based medicine to medical students. Journal of Medical Internet Research, 17(7): 1-10. Rivers, G.S., Foo, J., Ilic, D., Nicklen, P.D., Reeves, S., Walsh, K., & Maloney, S.R. (2015) The economic value of an investment in physiotherapy education: A net present value analysis. Journal of Physiotherapy, 61(3): 148-154. Nicklen, P., Keating, J.L., Paynter, S., Storr, M., Maloney, S. (in press) Remote-online Case-Based Learning: A Comparison of Remote-online and Face-to- face, Case-Based Learning - A Randomized Controlled Trial. Education for Health. Nicklen, P.D., Keating, J.L., Rivers, G.S., & Maloney, S.R. (2014) Students' savings through web-conference learning within health professional education. Medicine 2.0, 9-10 October, JMIR Publications Inc, Canada, p. 2053. Nicklen, P.D., Rivers, G.S., Ooi, C., Ilic, D., Reeves, S., Walsh, K., & Maloney, S.R. (2015) An approach for calculating student-centered value in education - the link between quality, efficiency, and the learning experience in the health professions. ANZAHPE-AMEA, 29 March-1 April, The University of Newcastle, Newcastle, p. 333. Nicklen, P.D., Keating J.L., Maloney S. (2016) Student Response to Remote-Online Case Based Learning: A Qualitative Study. ANZAHPE-OTTAWA 2016, 19 – 23 March, Perth Convention and Exhibition Centre, Perth (Poster Presentations). Disinvestment and disinvestment research in healthcare. Research setting: A qualitative study investigating how staff respond to disinvestment research. This is part of a larger study “Weekend allied health services for acute medical / surgical patients to improve efficiency and safety of patient care” which was undertaken at Monash Health’s Dandenong Hospital and Western Health’s Western Hospital, Footscray. Clinical/research expertise: My background is in Musculoskeletal Physiotherapy but I have worked in a number of other roles in healthcare; as a Quality Coordinator and more since 2013, as the Interprofessional Practice Advisor in Monash Health’s Allied Health Workforce, Innovation, Strategy, Education and Research Unit (WISER). I was the site liaison for the larger project at Dandenong Hospital and became interested in how the staff responded to the withdrawal of service in order to ascertain the impact on patient outcomes. M.N. Sarkies; K.-A. Bowles; E.H. Skinner; b R. Haas; M. Ho; K. Salter; K. May; D. Markham; L. O’Brien; S. Plumb; T.P. Haines Data collection methods in health services research: hospital length of stay and discharge destination Applied Clinical Informatics 2015; 6: 96–109 Do daily ward interviews improve measurement of hospital quality and safety indicators? A prospective observational study Journal of evaluation of clinical practice. Journal of Evaluation in Clinical Practice 2016 Oct; 22(5):792-8.